If you are interested in bringing me in to present an information session on grief dreams, or a workshop on how to work with grief dreams (children and adults), please contact me for rates. In my workshops I talk about grief, trauma, sleep, dreams, grief dreams, and love. I can design information sessions around any of these subjects. I have been given great feedback from past organizers and attendees. April 14, 2019 in Burlington, ON - Dr. Joshua Black and Shawn Ram will have a booth at the The Burlington Spiritual Expo from 1:00pm - 6:00pm at the Holiday Inn Burlington Hotel & Conference Centre (3063 South Service Road, Burlington, ON). Admission is FREE. Joshua Black and Shawn Ram had a Grief Dreams booth at the International Death Symposium in Toronto, Ontario on September 21 - 23, 2018. Black, Joshua (Sept. 17, 2018). How to Work with Grief Dreams in Adults and Children. Invited talk given at Walpole Island Health Centre. Black, Joshua (Sept. 12, 2018). 10 Things I Learned About Grief Dreams. Invited talk given at St. Joseph's Hospice - 475 Christina St. N., Sarnia, ON. Black, Joshua (May 26, 2018). Exploring Grief Dreams. The full day workshop was given at the Kitchener - Waterloo Art Gallery - 101 Queen St. N., Kitchener, ON. Black, Joshua (May 3, 2018). Exploring Grief Dreams with Teens. Invited talk given at a Teen 2 Teen Grief Retreat, St. Catharines, ON. Black, Joshua (April 30, 2018). 10 Things I Learned About Grief Dreams. Invited talk given at The Family Centre - 65 Hanson Avenue, Kitchener, ON. Sponsored by Bereaved Families of Ontario - Midwestern Region. Black, Joshua (April 7, 2018). Exploring Grief Dreams. Invited talk given at The Family Centre, Kitchener, ON (Bereaved Families of Ontario - Midwestern Region Volunteers). Black, Jade. (March 3, 2018). Love After Loss Seminar. 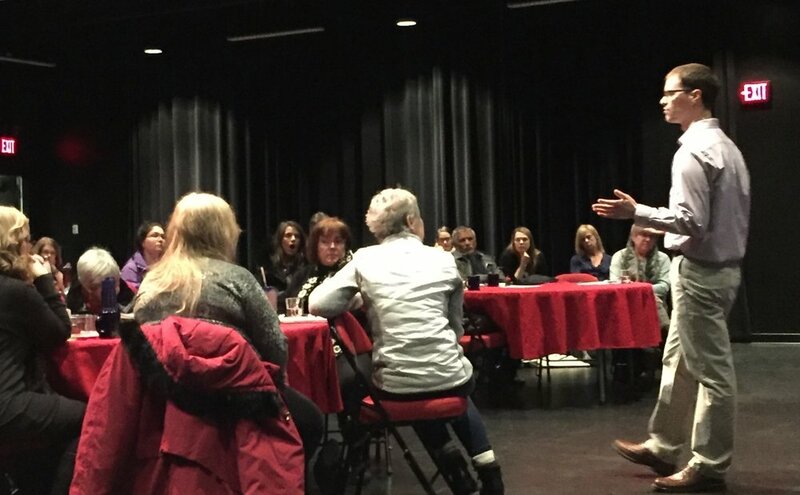 Seminar was given at Chilliwack Cultural Centre - 9201 Corbould St., Chilliwack, BC. Black, Joshua & Black, Jade (Jan. 27, 2018). Exploring The 10 Things I Learned From Researching Grief Dreams. Invited talk given at Chilliwack Cultural Centre - 9201 Corbould St., Chilliwack, BC (sponsored by Chilliwack Hospice Society). Black, Joshua & Black, Jade (Jan. 27, 2018). Learning How To Work With Grief Dreams. Invited talk given at Chilliwack Cultural Centre - 9201 Corbould St., Chilliwack, BC (sponsored by Chilliwack Hospice Society). Black, J. & Stapleford, D. (Jan. 22, 2018). Exploring Grief Dreams. Invited talk was given at Niagara Hospice - 403 Ontario St., St. Catharines, ON. Black, J. (Nov. 18, 2017). Children's Grief Dreams. Invited talk given at the 2nd Annual Children's Grief Awareness Event held at Brock University - 1812 Sir Isaac Brock Way, St. Catharines, ON. Black, J. (Nov. 13, 2017). Exploring Grief Dreams with Clients. Invited talk given at Acclaim Health - 2370 Speers Road, Oakville, ON. Black, J. (August 29, 2017). A Grief Dreams Workshop. Invited talk given at Hospice Wellington, Guelph, ON. Black, J. (August 28, 2017). What I Have Learned About Life From Grief Dreams. Invited talk given at the MoMondays Guelph, Guelph, ON. Black, J. (June 5, 2017). Exploring Grief Dreams. 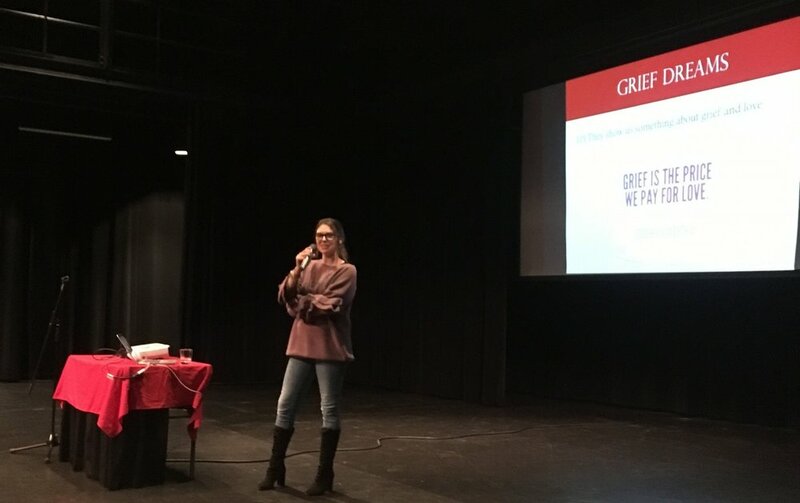 Invited talk given at the International Death, Grief and Bereavement Conference held at University of Wisconsin-La Crosse - 521 East Ave N, La Crosse, WI. Black, J. (May 11, 2017). 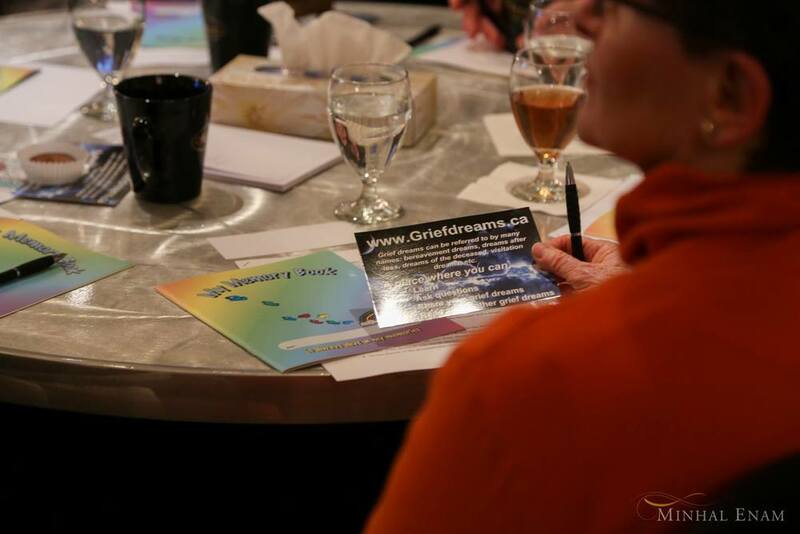 Grief Dreams Workshop. Invited talk given at McNally House Hospice (Volunteer Training), Grimsby, ON. Black, J. (April 29, 2017). My Grief Story. Invited talk given at McNally House Hospice (Volunteer Training), Grimsby, ON. Black, J. (March 23, 2017). Simple Strategies To Promote Your Research. Invited talk given at Brock Revolutionary Experimental Workshops in Topics Affiliated with Psychological Science (BREW TAPS) held at Brock University - 1812 Sir Isaac Brock Way, St. Catharines, ON. Black, J. (March 21, 2017). Dreams and Grief Dreams. Invited talk given at Trent University - 55 Thornton Rd. S., Oshawa, ON. Black, J. & Stapleford, D. (Nov. 17, 2016). A Grief Dreams Workshop. Invited workshop given at Ukrainian Catholic Church of the Resurrection - 821 Upper Wentworth St., Hamilton, ON. This event was sponsored by P. X. Dermody Funeral Home. Black, J. (Nov. 12, 2016). Children's Grief Dreams. 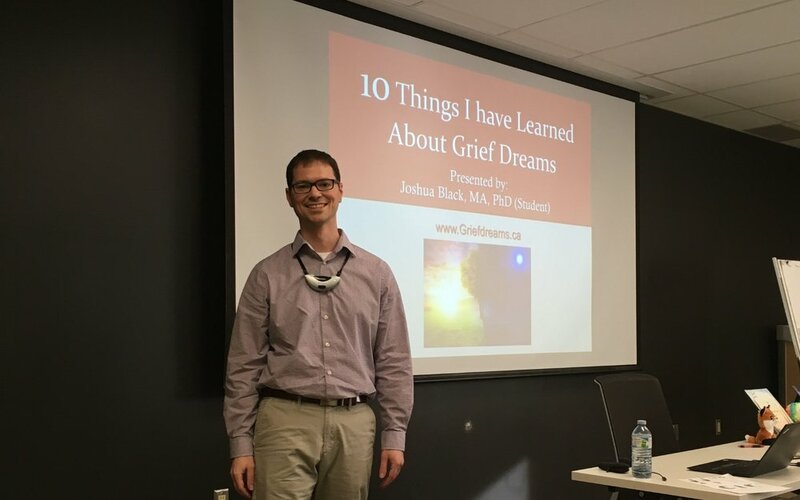 Invited talk given at the Children's Grief Awareness Event held at Brock University - 1812 Sir Isaac Brock Way, St. Catharines, ON. Black, J. (Nov. 5, 2016). Grief Dreams and Building Dream Catchers. Invited talk given at The Hamilton Spectator - 44 Frid Street, Hamilton, ON. This is a Bereaved Families of Ontario Hamilton/Burlington Volunteer Appreciation Event. Black, J. (October 13-15, 2015). Examining Changes in Grief Through Dreams in Bereavement. Poster presented at the 25th Annual Bereavement Ontario Network Conference, Orillia, ON. Black, J. & Stapleford, D. (Oct. 8, 2016). Exploring Grief Dreams. Invited talk given at The Village of Tansley Woods - 4100 Upper Middle Road, Burlington, ON. Black, J. & Stapleford, D. (Oct. 8, 2016). Book reading on Remembering Owl and Dreaming of Owl. Invited talk given at Burlington Public Library. Black, J. (Sept. 15, 2016). Exploring Grief Dreams. Invited talk given at Grimsby Public Library - 18 Carnegie Lane, Grimsby, ON. Black, J. (July 30, 2016). Exploring Your Grief Dreams. Invited talk given at Walpole Island First Nation, ON. Black, J. (June 13, 2016). Exploring Your Grief Dreams. Invited talk given at Burlington Baptist Church, Burlington, ON. This event was being put on by Heartache2Hope. Black, J. & Lucas, S. (June 10-12, 2016). Grief Activity Facilitator on Grief Dreams at Camp Erin (camp for bereaved children), Camp Wenonah, ON. Black, J. (May 30, 2016). The Power of a Dream. Invited talk given for MoModays at the Hard Rock Club Niagara Falls - 5705 Falls Ave., Niagara Falls, ON. Black, J. (May 15, 2016). Does God Still Speak to People Through Dreams? Invited talk given at Foundation United Baptist Church (4300 hwy #7), Porters Lake, NS. Black, J. (May 14, 2016). Exploring Your Grief Dreams. Invited talk given at Halifax Central Library (Room 301 A) - 5440 Spring Garden Road, Halifax, NS at 2:00pm-3:30pm. This event is being put on by Hospice Halifax. Black, J. (May 12, 2016). Learning to Work with Dreams in Bereavement. Paper presented at the Canadian Association of Psychosocial Oncology Conference, Halifax, NS. Black, J. (April 24, 2016). Exploring Your Grief Dreams. Invited talk (for everyone) given at Annunciation of Our Lord Parish - 280 Limeridge Rd West, Hamilton, ON. This event was sponsored by P. X. Dermody Funeral Home and Bereaved Families of Ontario. Black, J. (April 16, 2016). Grief Dreams: Messages of Love. Workshop presented at Angelfest 2016, Airport Community Centre, Brantford, ON. Black, J. (April 10, 2016). Exploring Grief Dreams with Clients. Invited talk for those who assist the bereaved was given at Annunciation of Our Lord Parish - 280 Limeridge Rd West, Hamilton, ON. This event was sponsored by P. X. Dermody Funeral Home and Bereaved Families of Ontario. Black, J. & Stapleford, D. (April 6, 2016). Exploring Your Grief Dreams. Invited talk given at Morse & Son Funeral Home - 5917 Main Street, Niagara Falls, ON. Black, J. (March 22, 2016). Exploring Dreams in Bereavement. Invited talk given at VON Durham Hospice (1615 Dundas Street East - Whitby Mall), Whitby, ON. Black, J. (February 28, 2016). Learning to Explore Your Grief Dreams. Invited talk given at Hulse and English Funeral Home - 75 Church Street, St. Catharines, ON. Black, J. (December 14, 2015). Exploring Dreams in Bereavement. Invited talk given at Psychosocial Oncology Rounds, Hamilton, ON. Black, J. (October 28, 2015). Dreams in Bereavement. Invited talk given at Acclaim Health, Burlington, ON. Black, J. (October 15, 2015). Dreams in Bereavement. Workshop presented at the 25th Annual Bereavement Ontario Network Conference, Orillia, ON. Black, J. (September 26, 2015). Grief Dreams: Messages of Love. Workshop presented at Angelfest 2015, Lynedoch, ON. Black, J. (September 26, 2015). Examining Changes in Grief Through Dreams in Bereavement. Paper presented at the 7th Conference of the Canadian Sleep Society, Toronto, ON. Black, J. (July 9, 2015). Exploring Dreams in Bereavement. Invited talk given at Carpenter Hospice, Burlington, ON. Black, J. (May 6, 2015). Exploring Dreams in Bereavement. Invited talk given at Psycho-Social-Spiritual Group, Hamilton, ON. Black, J. (February 17, 2015). Dreams in Bereavement: Insights into dreams that Contain Imagery of the Deceased. Invited talk given at McNally Hospice, Grimsby, ON. Black, J. (January 15, 2015). Illuminating Dreams in Loss. Invited talk given at Toronto Dreamers International Association for the Study of Dreams Regional (titled: Illuminating Dreams: Dreams in Loss, Health, and Science), Toronto, ON. Black, J. (January, 2014). Dreams in Bereavement: What do we know? Invited talk given at Niagara Hospice, St. Catharines, ON. Black, J. & DeCicco, T. (June 23, 2013). Examining Dreams, Dream Content, and Meaning in Bereavement. Paper presented at the 30th Annual Conference of the International Association for the Study of Dreams, Virginia Beach, VA.
Black, J. (January 19, 2013). The Impact of Dreams in Bereavement. Invited talk given at Toronto Dreamers International Association for the Study of Dreams Regional (titled: Birth and Death Dreams), Toronto, ON. Black, J. & DeCicco, T. (June 26, 2012). Examining Dreams, Dream Content, and Meaning in Bereavement. Paper presented at the 29th Annual Conference of the International Association for the Study of Dreams, Berkeley, CA.